Car Data Collection requires a high level of technical expertise and experience from development to implementation. For sensitive or personalized data that may be collected, de-identification and encryption will be applied. For data-ownership and authorization, authentification, access control and encryption will be embedded during the process of system architectural design. 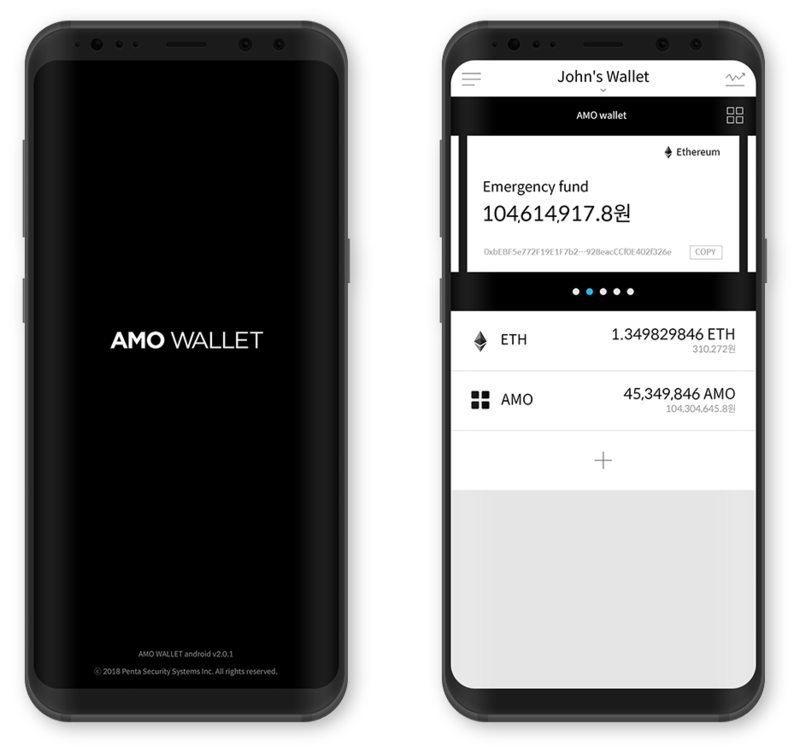 AMO Wallet Mobile is an easy-to-use cryptocurrency wallet that secures your crypto assets safe and sound. Wallet Mobile requires no complicated procedures to registerate your personal information or to create numerous wallet addresses for your use. 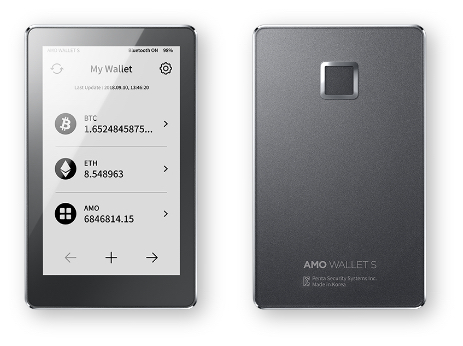 AMO Wallet S is a hardware cryptocurrency wallet that supports various cryptocurrencies. Its sophisticate touchscreen functionality, along with its cutting-edge biometric security provides the ultimate cryptocurrency storage system for your use. 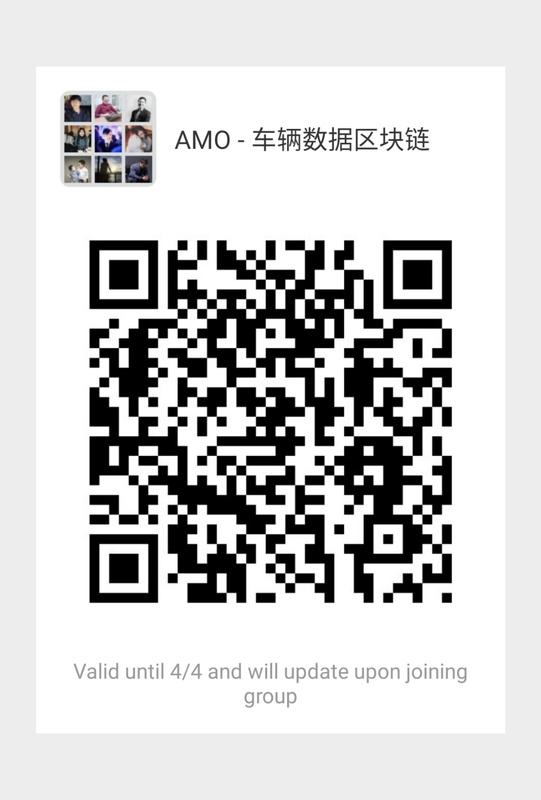 AMO Wallet S can be connected to AMO Wallet Mobile with Bluetooth. 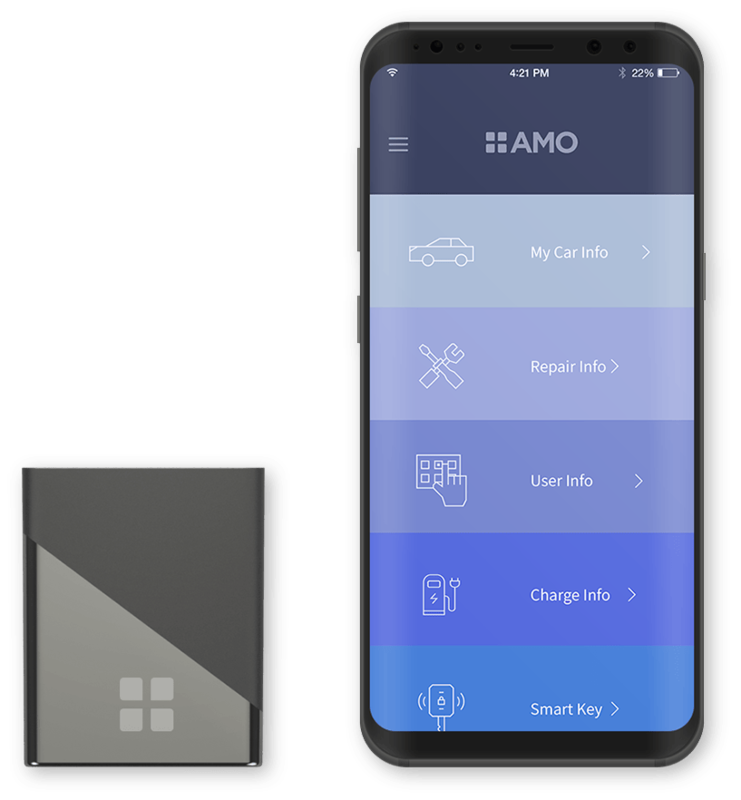 AMO Data Collector effortlessly gathers all car data - velocity, mileage, repair, engine oil check-up/analysis, etc. - just by attaching the device to the car's OBD-II. All data is encrypted and safely stored. By connecting AMO Data Collector to one's smart phone, the data will be delivered to the blockchain network.